Get ready for a crazy drive. Simulate your off road driving experience today with a variety of Military Jeep Racer : Army Offroad Drive 3D. A road is full of barrels and time is limited and being a professional off-road driver your duty is to drive a Military Jeep Racer : Army Offroad Drive 3D vehicle on dangerous road with high speed and collect diamond to unlock your desire vehicle. To complete this entire adventurous drive, you have a limited time to Simulate your driving experience and turns simulating your drive into a real racing fun. Your Military Jeep Racer : Army Offroad Drive 3D hasnt enough fuel to reach on destination. So do not forget to refill a fuel on coast of diamonds. 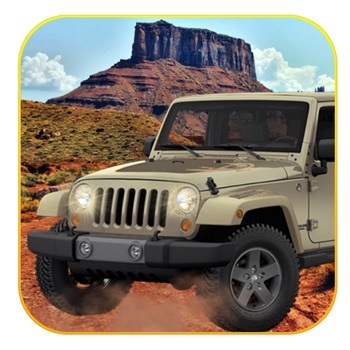 Off road jeep simulation is a brand new fairy game for off-road driving lovers. Let's drive your Military Jeep Racer : Army Offroad Drive 3D around mountain and collect all diamonds. So favoring your journey from high mountains and avoid to crash with your sample luxury car. An off-road driving fun begins When you start your engine or Military Jeep Racer : Army Offroad Drive 3D and drive a jeep like a real racer. Military Jeep Racer jeep simulation is a free game specially for racing lovers. features: Drive around mountain and Simulate driving experience. Excellent music to thrill driving experience. Smooth driving with a real fun of racing. Elegant graphics with a real dynamics of 3D. Limited time and fuel to reach destination.